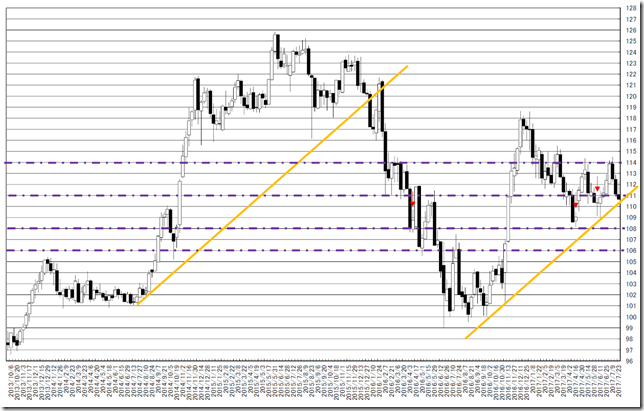 USDJPY hourly; target is 109.00yen and there are gaps 112yen and 113yen around; Buy on dip. Our conclusion is buy on dip. 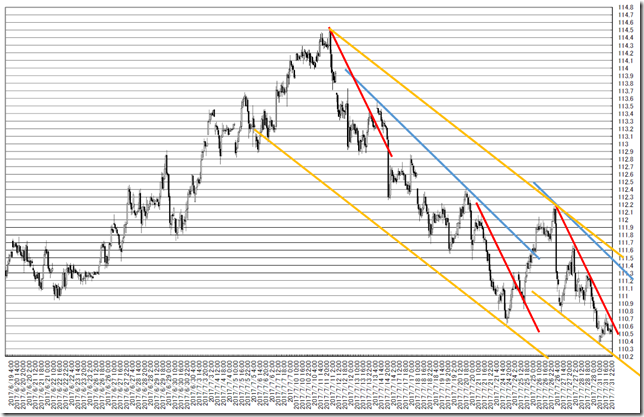 There remain two gaps and our main scenario is these will bury. So buying will still be easy rather than selling. But there were no chance to buy in last week. Red line seem to be fake. 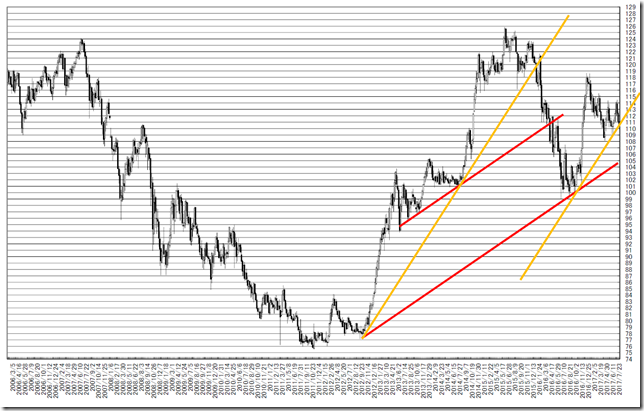 Cutting 111.50-30yen over will be trend changing. Rally will start in future but it needs more spare time. 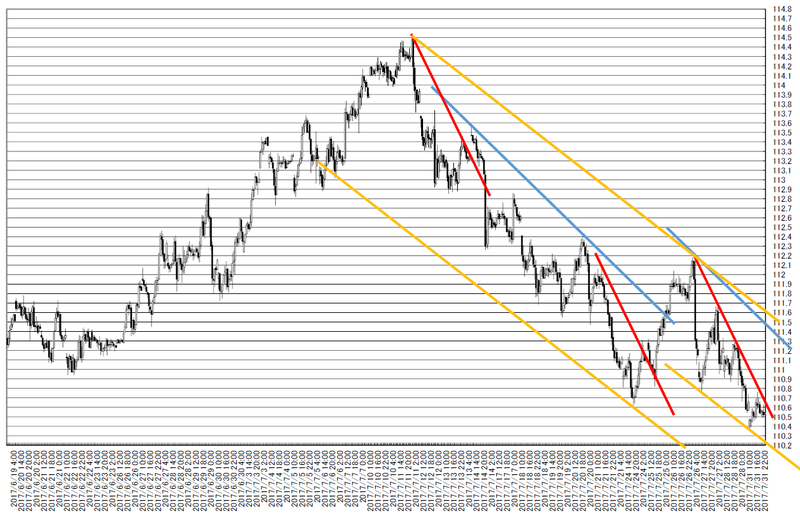 The price cut 111yen low and now is seeking for the bottom. 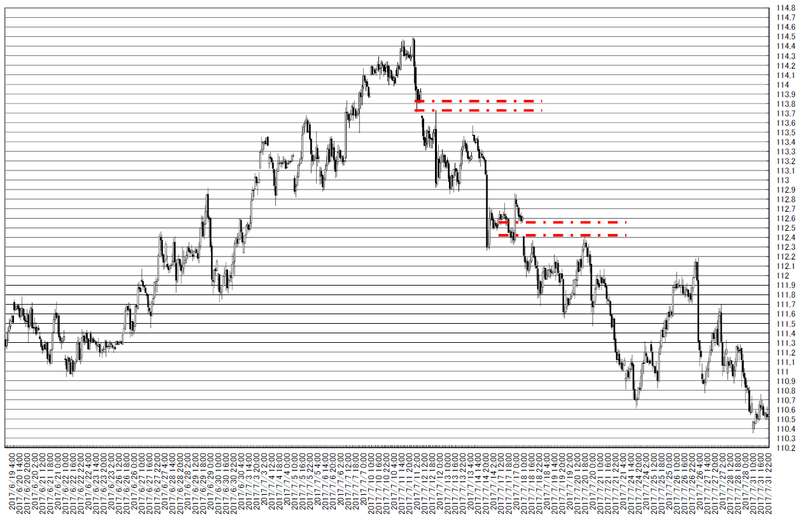 From price range view, the target will be 109 yen. 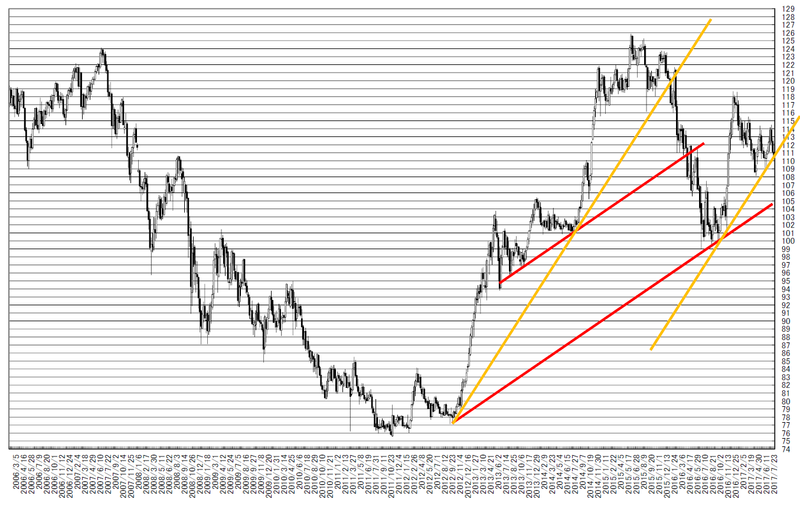 USDJPY Weekly; we are neutral but Yen will be strong for some time. 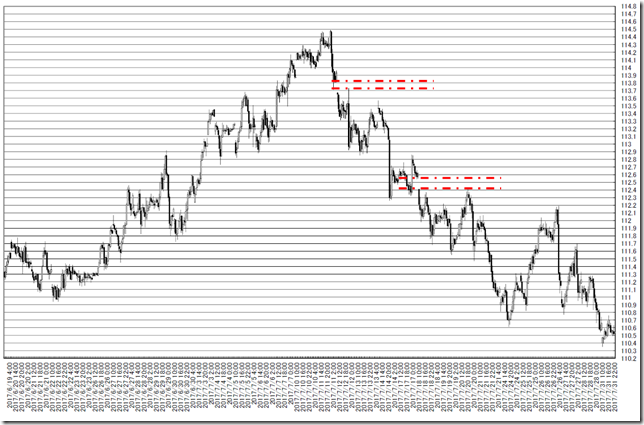 Our conclusion is 111yen around will work as resistance or not and the price will challenge it. We reported “USDJPY Weekly; The best selling point will be cutting 111yen once and recovering will be great opportunity” in 2/9/2017. The price does not cut yellow line. We arrow cutting 111yen point in weekly close price and can know the first cutting point seems to be stable. This is 1 price change and 3 box reversal close price’s Point and Figure chart. 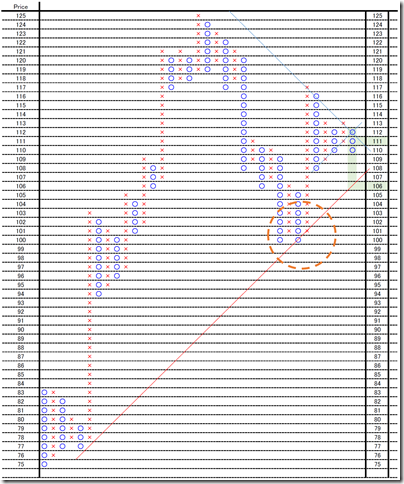 P&F implies Yen will be stronger. The price cut the major support and broke from pennant formation.